When working with animals you must remember one thing, they will never follow a script. Sure, Disney’s Animal Kingdom features some ingenious ways to keep wildlife involved in the stories, from log feeders to cool spots, but the story of the Kilimanjaro Safari creatures is never told the same way twice. While there is a script for the attraction, even it is prone to changes. Take, for example, this poster from the Kilimanjaro Safari queue. Found in the booking office, this poster invites guests to visit with two of the reserve’s most famous residents. If you’re first visit to Kilimanjaro Safaris came after the spring of 2007, then it is likely that you’ve never enjoyed the conversational skills of Ms. Jobson or the story of Big Red and Little Red. For the better part of a decade, the story of the two named pachyderms was critical to the Kilimanjaro Safaris experience. In this incarnation Little Red had been separated from its mother, Big Red, and was being held by poachers. Big Red had been found by the reserve’s wardens and the frantic search for the poachers and Little Red involved the wardens and guests’ safari truck, Simba 1. All’s well that ends well, and Little Red was safely recovered and then returned to Big Red. The 2007 shift away from naming the wild creatures was not the first time the narrative of Little Red and Big Red had shifted. The original tale of Big Red and Little Red involved a gruesome finale, complete with a mangled corpse of Big Red. During Cast Member previews, the overwhelming number of inconsolable children disembarking the trucks caused the first major change in plot, the survival of Big Red, to the experience, even before the park had opened! 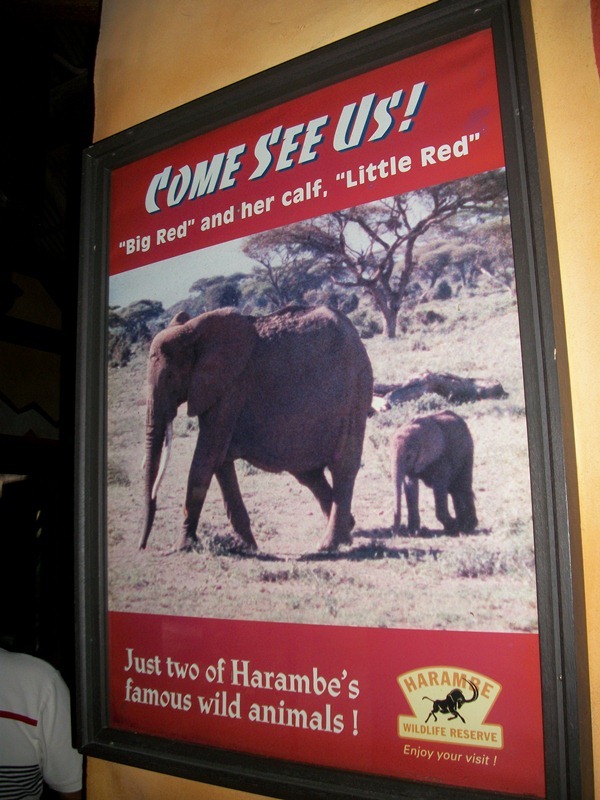 Today Big Red and Little Red are no longer acknowledged by name in the onboard narration, but their presence is still felt in the attraction’s queue and through the poaching storyline that continues to play out on the savanna daily. Wow. I never knew about that pre-opening show script. Chris, I never saw it for myself, but from what I understand it was a pretty traumatic experience.